Disclaimer: I'm affiliated to Global Malaysian Network, a social network for Malaysians who are residing / have resided abroad, as a member of the admin team. 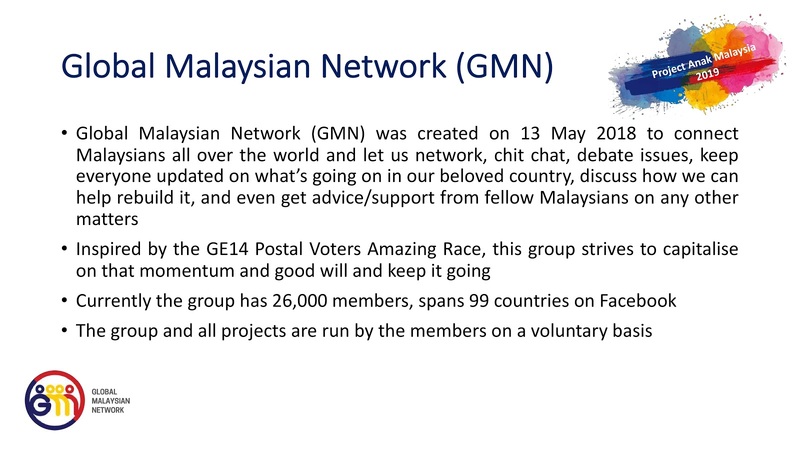 However, I cannot take credit for this project as it involves a whole village of volunteers. I'm only in-charge of getting the word out to teachers! Would you like to see your school's name shared across the world, as part of an international music video project? 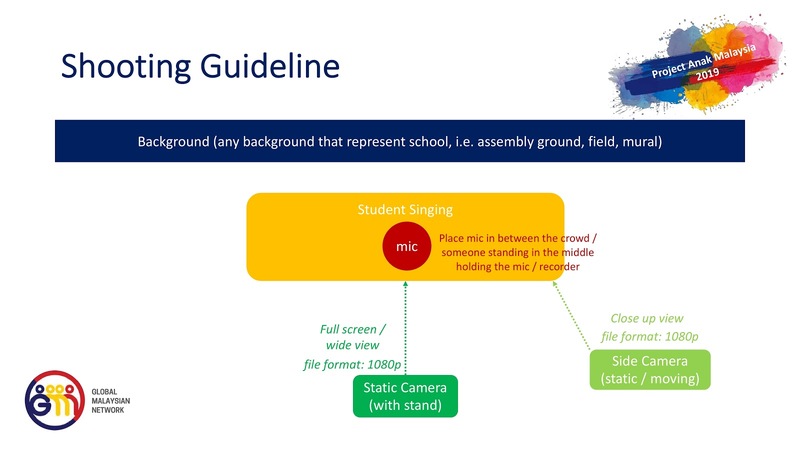 What about seeing the same with the positive image & beautiful voices of your students? 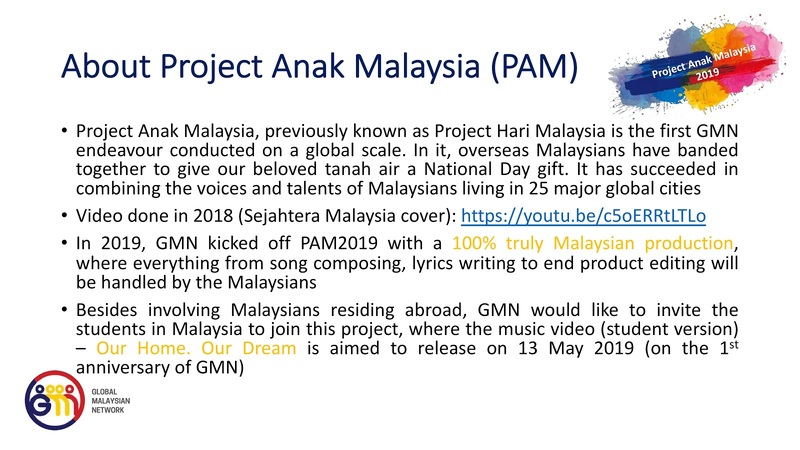 After collecting lyric submissions from global Malaysians, GMN is working with international Malaysian composers on a new bilingual song, "Our Home Our Dream", calling for unity & expressing the love of global Malaysians for Tanah Airku. As the future of our nation, we would like to invite your students (in Malaysia) to consider themselves as global citizens & participate in our Project Anak Malaysia. There's no better way to achieve your HIP & MBMMBI KPIs than this! Project Anak Malaysia will produce 2 music videos. The first one will feature STUDENTS IN MALAYSIA (open to all primary, secondary and tertiary institutions). 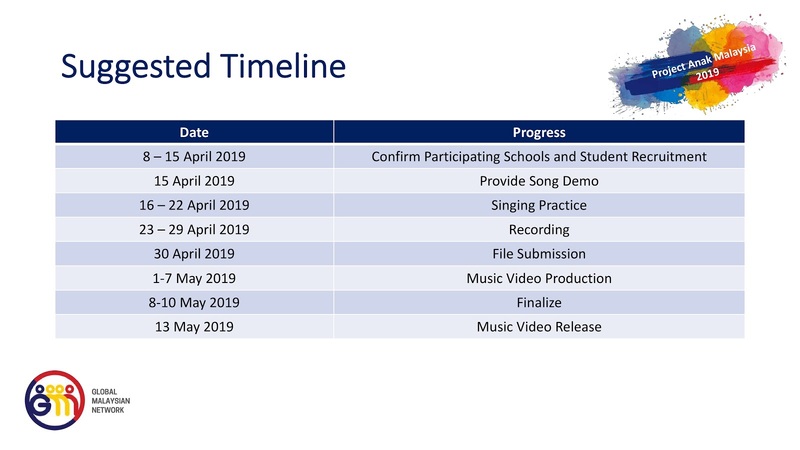 This student version will be released on 13 May 2019, which is GMN's 1st anniversary. 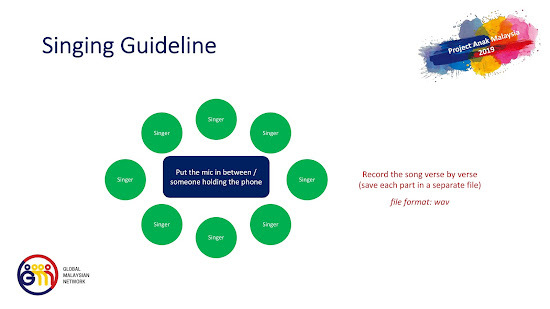 It's about time we remember that harrowing date for something positive, rather than it's current manipulative use. Meanwhile, the second video will be a gift to Malaysia by Malaysians around the world just like in our 2018 "Sejahtera Malaysia" music video. With your help, it will be a truly 100% Malaysian production, from lyrics writing, song composing, singing, videoing, to end product editing, where all Malaysians, both local & overseas, will be able to express our love for our nation together! 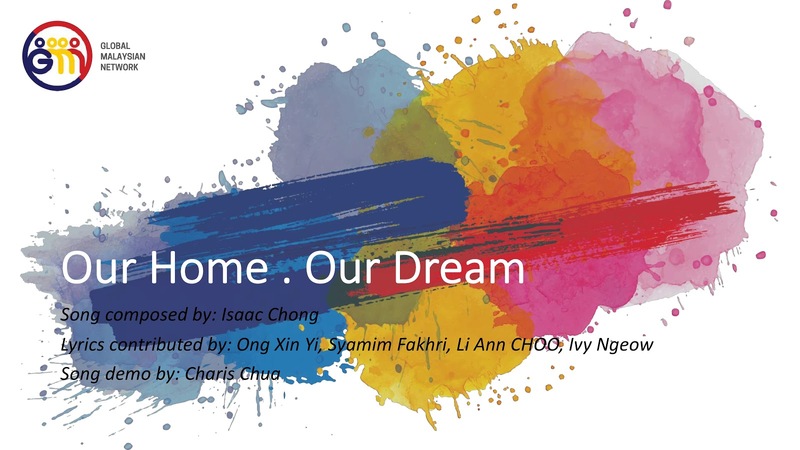 Dear teachers in Malaysia, do invite your students to participate in this meaningful international project! You can comment below if you have any questions! Looking forward to receiving your submissions!